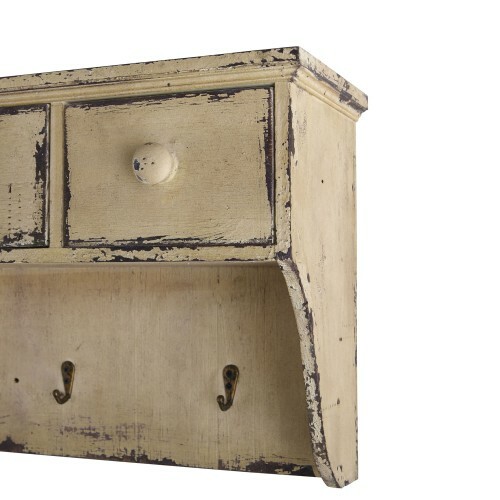 Featuring three pull out drawers, three hooks and storage space above the unit, this multifunctional shelf is practical for a variety of spaces and uses. Mount this unit in the bathroom to hang towels and display jars of toiletries or for use in the entryway/mudroom to store keys and hang light jackets or pet care items. 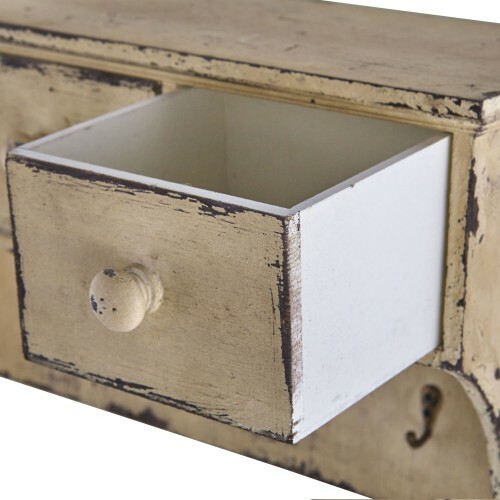 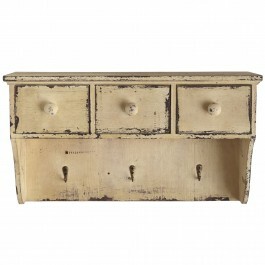 The light beige stained and weathered finish give this piece a French-country look.